Finn and Jake are the protagonists of the cartoon series Time of Adventures and as the name suggests, the time has come to help them in a new adventure. 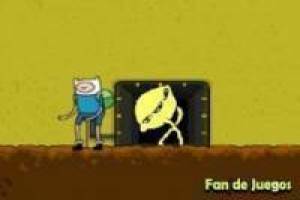 Finn is a lover of lemons and is seeing how an evil guy has kidnapped everyone. We will have to explore the different levels collecting the lemons and releasing the creatures that have been captured by this evil one. You must be careful with the holes in the ground to avoid falling into the void and also with the enemies that you will know as you progress. He manages to overcome each of the levels to free the lemons and fulfill this mission successfully. 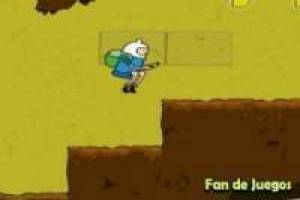 Adventure Time arrives with more fun with never saving lemons. 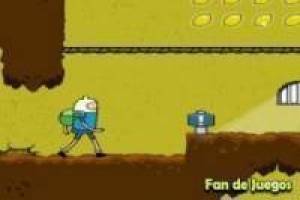 Enjoy the game Time for adventures, save the lemons, it's free, it's one of our adventure time games we've selected.